For many older adults, especially those who have chronic health conditions, taking medication is a daily affair. Nearly one-third of medications prescribed in the United States are for adults over 65, and medication use and the associated costs are expected to grow in the future. However, medication nonadherence, such as skipping doses or stopping medications entirely, is a major concern in this population and may lead to poor health outcomes and increased health care costs. Medication nonadherence is a complex problem with many factors ranging from self-perceived health to depression to the cost-related factors such as medication prices. In two new studies, Texas A&M School of Public Health researchers and colleagues examined the effects a chronic disease self-management intervention has on medication nonadherence and how cost-related factors play a role in whether older adults adhere to their prescriptions. Dr. Shinduk Lee, a postdoctoral research associate in the Center for Population Health and Aging, was the lead author on both studies and was joined by Center Director Dr. Marcia Ory, Dr. Y. Alicia Hong, and Dr. Diane Dowdy, all from the School of Public Health, and Dr. Luohua Jiang, of the University of California, Irvine. Several interventions have been developed to deal with medication nonadherence, but these interventions have many components and isolating them and understanding how they interact can be difficult. Gaining a better understanding of these factors was the goal of the first study, published in the journal, Translational Behavioral Medicine. In this study, Dr. Lee and colleagues examined long-term impacts of the Chronic Disease Self-Management Program (CDSMP), a self-management program that covers a wide range of topics ranging from exercise and nutrition to communication and treatment option evaluation and that has been shown to improve medication adherence. Previous research has found that CDSMP participants showed improvements in a variety of factors like self-reported health, depression and communication with health care providers six months after the program and that these improvements were sustained after 12 months. These factors have been found to influence medication adherence, so the researchers used data from a national CDSMP evaluation to investigate the influence six-month improvements had on long-term medication adherence. They also placed additional focus on those participants at greater risk for nonadherence, such as those reporting major depression at the beginning of the CDSMP. Dr. Lee and colleagues found that medication adherence as reported by the study participants did not improve much at the six-month follow-up, but after 12 months adherence was greater. This may be because changes in depression, health and communication in effect at six months led to long-term behavior changes. Short-term improvements in depression and self-reported health were associated with long-term changes in medication adherence among subjects who reported major depression symptoms at baseline. “These findings add to our understanding of medication nonadherence, but further research into more possible drivers of nonadherence and studies that focus more on subgroups with greater instances of nonadherence, such as people with major depression, will be needed,” Dr. Lee said. Another aspect of medication nonadherence she and colleagues explored was the role of cost and non-cost related factors. In a study published in the Centers for Disease Control and Prevention journal Preventing Chronic Disease, Dr. Lee and colleagues looked at the roles of financial resources and patients’ attitudes and beliefs in cost-related medication nonadherence (CRN). CRN is a problem for 10- to 40-percent of older adults. Their hypothesis was that other factors such as patient satisfaction, access to health care, medication affordability and patient attitudes and beliefs would affect the relationship between financial resource availability and CRN. Dr. Lee and colleagues used a nationally representative sample from the 2015 National Health Interview Survey. They focused on individuals who had diagnoses of diabetes or hypertension, were on prescription medication for those conditions and were over 65. They focused on three kinds of CRN: skipping medication, taking less medication, or delaying filling or refilling a prescription to save money. The researchers found that around six percent of study participants reported CRN, which is close to the figure found in other research. They also found that patient attitudes and beliefs on medication affordability, access to health care, and satisfaction with health care providers affect the relationship between financial factors and CRN, implying that the availability of financial resources alone is not sufficient to explain CRN. Medication affordability had the strongest effect on CRN, which was in line with other studies. Patient satisfaction had a relatively strong effect on CRN, with higher patient satisfaction being a predictor for lower rates of CRN. This study had a few limitations in that it did not include factors such as concerns about medication like potential side effects and perceived need for medications. However, this work is one of a handful of studies looking into the potential factors influencing the relationship between financial resource availability and CRN. The researchers state that interventions to address medication affordability, as well as efforts to address attitudes and beliefs, could reduce CRN and that further research should dig deeper into attitudes and beliefs and explore other issues such as perceived need and concerns about medications. “It is important to recognize the complexity of medication adherence behavior. 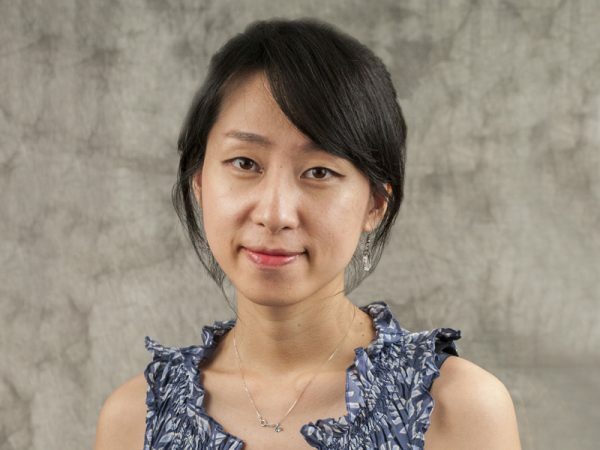 While both studies have focused on the individual-level factors, future studies should also incorporate practice- and environment-level factors as well,” Dr. Lee said. These two studies have added to our understanding of the complex and often interacting factors affecting medication adherence. Further research into these areas, which will build on the findings of these works, will help researchers gain a more complete picture of nonadherence and give policymakers and health care providers ways to improve medication adherence among older adults. February 1, 2019 "Announcing CDC Public Health Grand Rounds Feb. 12, 2019" February 1, 2019 "UAB: Identification of Leukocytes Associated With Midday Fogging in the Post-Lens Tear Film of Scleral Contact Lens Wearers"